Beware of this tour!!! Traffic jams from Naples all the way, which takes away most of your time in Positano and Amalfi coast. Otherwise well worth it. 1 Our tour started half an hour late and all the guests were just standing there waiting at 7 am. The guide did not provide any explanation. 2 Always the latest to show up at the meeting points, guests had to wait for her to arrive even though we were all there already. Happened for every single meeting point. 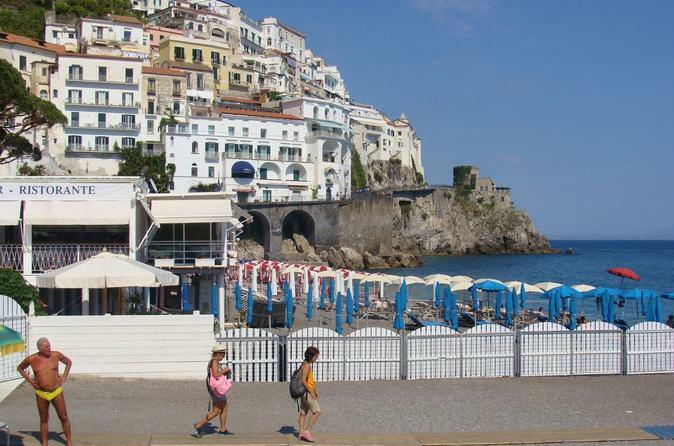 At Positano, she arrive just on time, and even said Wait, I have to go get a coffee first and then we'll go. That's outrageous. 3 Talked to the driver loudly throughout the drive there windy and narrow roads in our minivan 6 guests in total - very annoying and dangerous because the driver was obviously distracted. Overall, we did not feel like we were treated well in this tour, but the sights were indeed amazing. We enjoyed every minute of this tour, from the bus ride to getting our feet wet on the beach. We had an amazing lunch in a lovely restaurant overlooking the sea. This is a MUST do while in Italy! 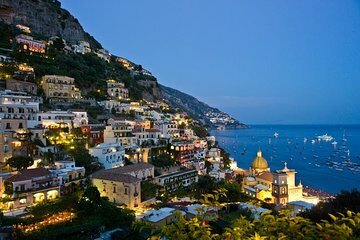 Beautiful must do while in Italy. It was an amazing day! Fabio was such a wonderful tour guide! He did a wonderful job pointing out all of the highlights and providing us with a great amount of history as well. Highly Recommend!!! The bus did not have proper air conditioning. The travel guide smelled awful and she could not be patient enough to wait until my daughters went to the bathroom when we got to Positano to take us to the beach. Not a good trip at all. These tour guides need to clean themselves better, especially in hot weather. Deodorant is not too expensive and it is a must. Every time she raised her arm we almost fainted since the hot air carried the smell all over the bus. Overall, all of our excursions in Italy were awful. Will never use Viator again and we travel every year!!! A must see. Really incredible. Long but fun day. Highly recommend this terrific, well-paced tour. Great day from start to finish! Our guide Antonella was fantastic. She was informative, organised and always on the lookout for the best vantage point for great photos. And our bus driver was amazing! Also, having been on a different tour with another company that used a bus the whole way to Naples, taking the train from Rome to Naples then a bus was a much better way to go.